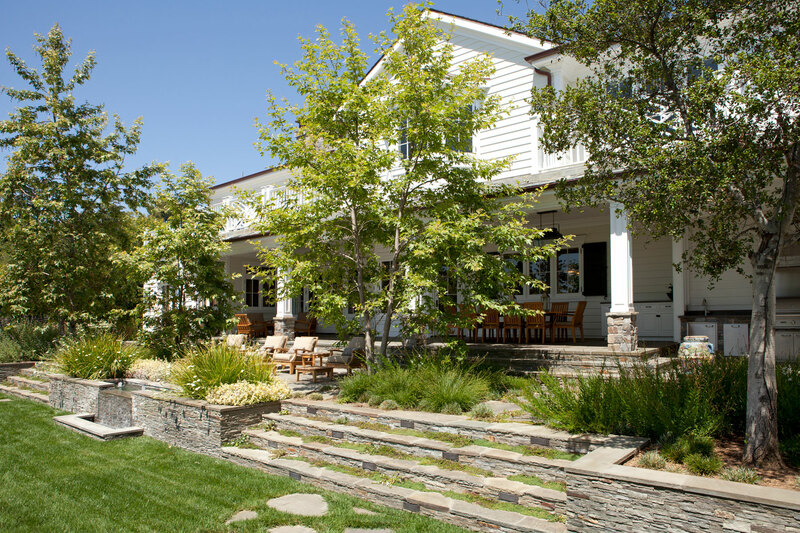 While many people in the entertainment industry want their homes to have a ‘wow’ factor, our client sought delight from the graciousness, comfort and attention to detail in their new house and garden. 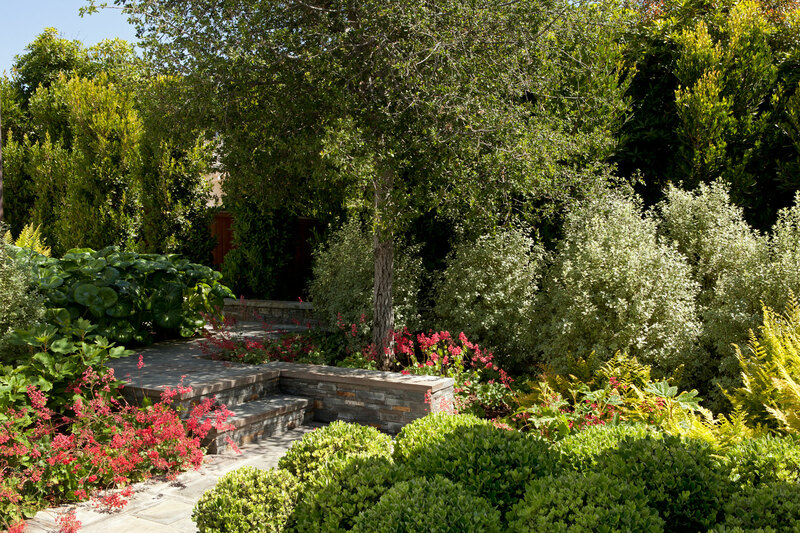 PB&Co’s design challenge was to create a newly planted landscape that would look as if it had always been there. 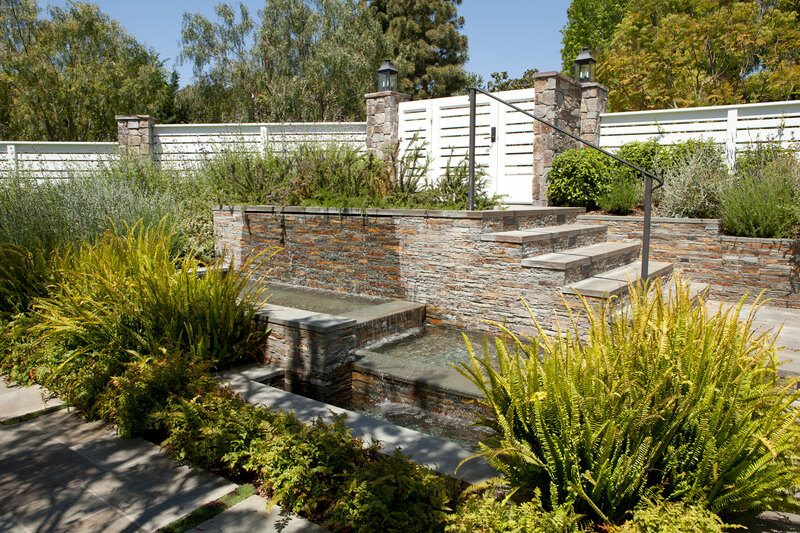 Water features became an important part of the design, and form an axial arrangement from the entry through the house and down to the pool and spa. 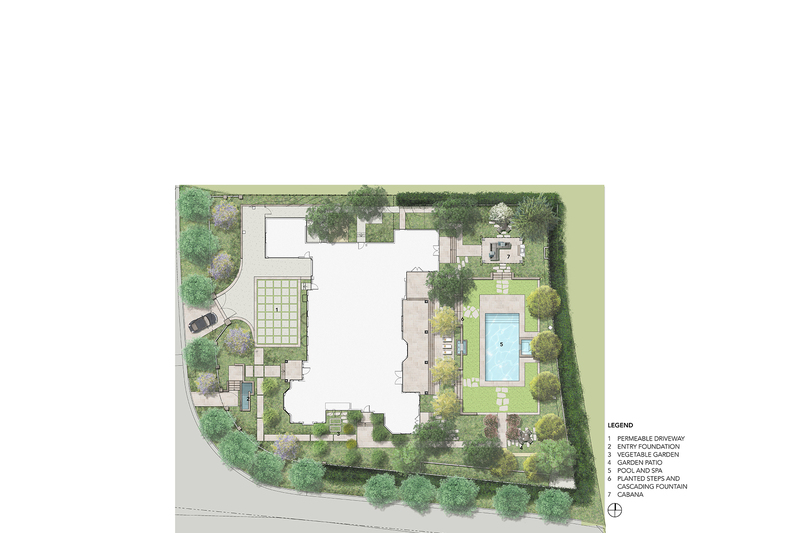 The pool is encircled by closely-planted trees and narrow ribbons of colored concrete. 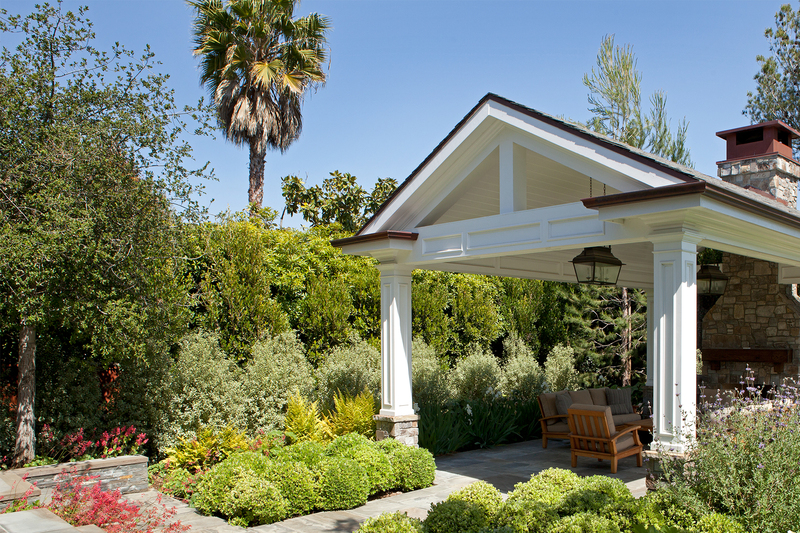 A tranquil dining pavilion that includes a large outdoor fireplace overlooks the garden. 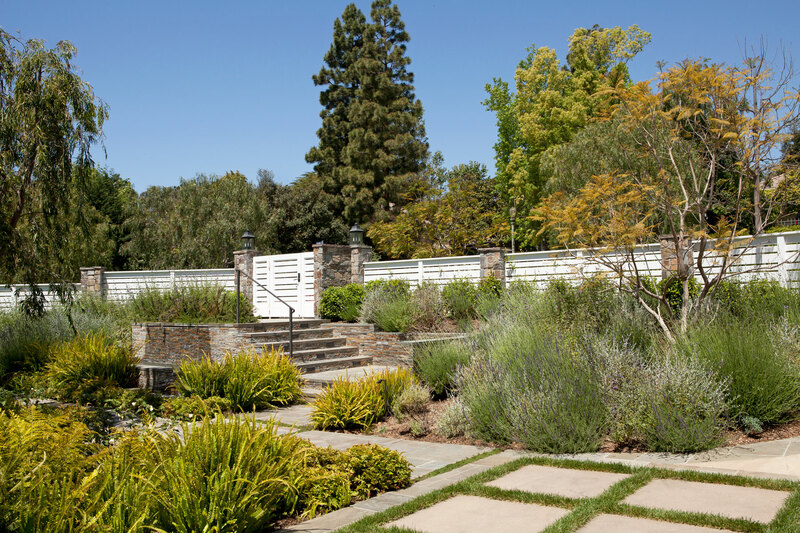 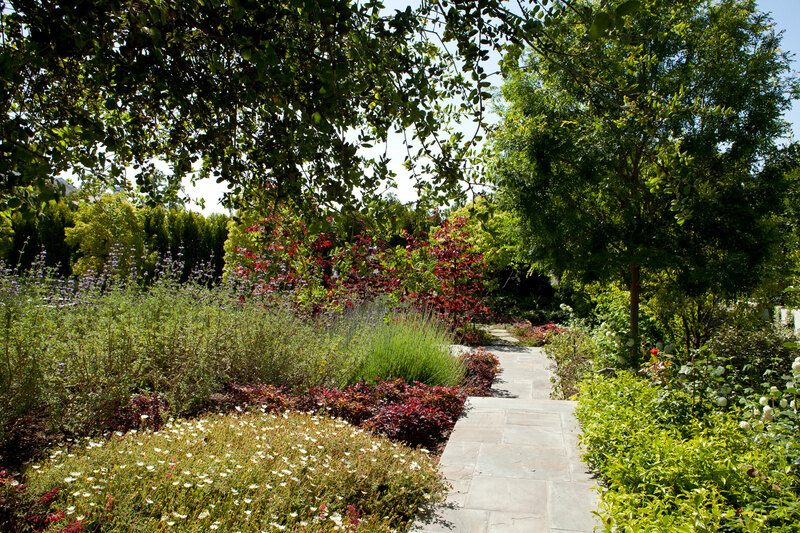 The well-groomed garden areas, linked together by pathways, are informal yet exude a strong presence and beauty that reverberate throughout the landscape.